1. 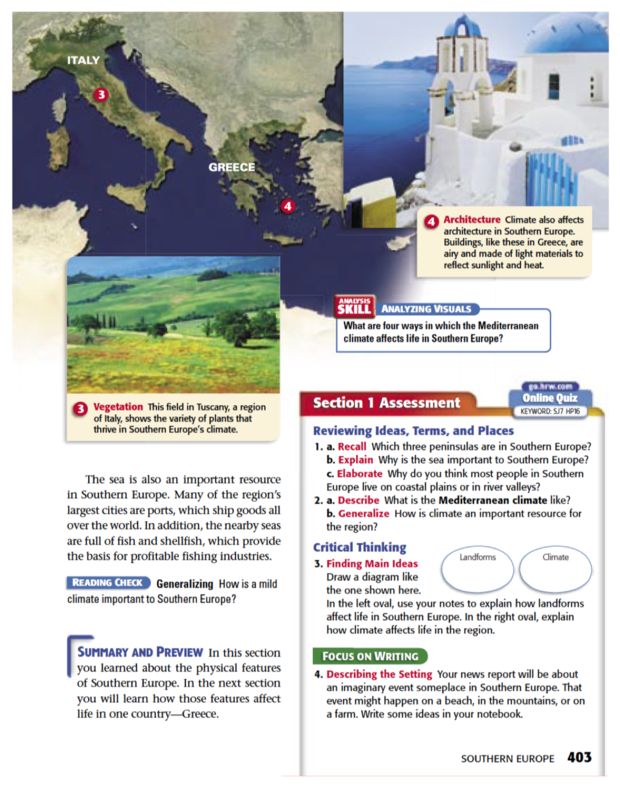 What Type of Landform covers much of southern Europe? 2. 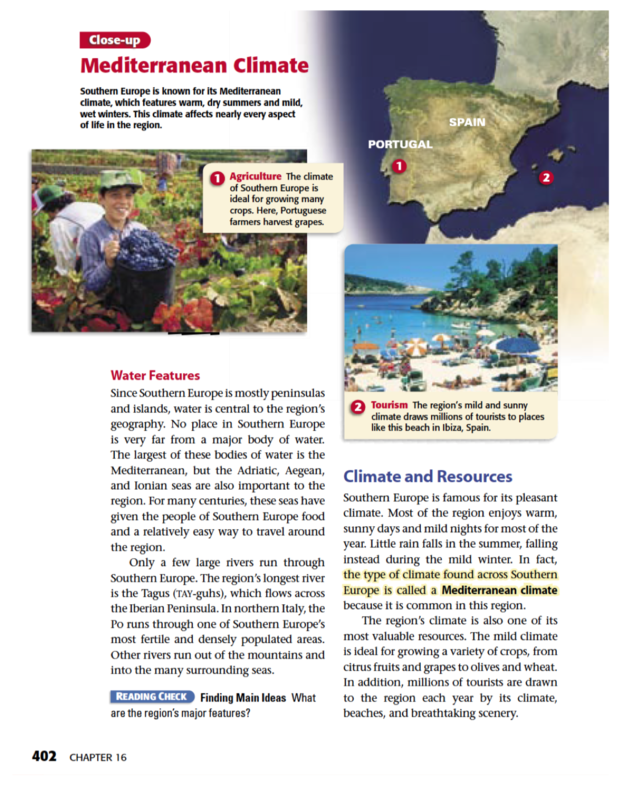 What areas of Southern Europe are ideal for farming? 3. 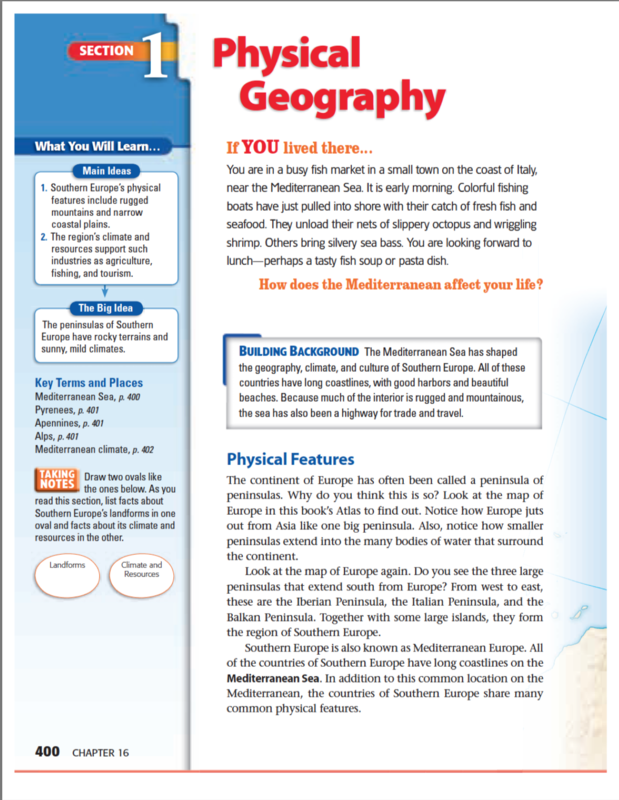 Why do you think most people live in the coastal plains and river valleys? 4. Name two important resources in southern Europe. 5. Why is the sea important to southern Europe's Economy? ​6. What kinds of things might this region export?